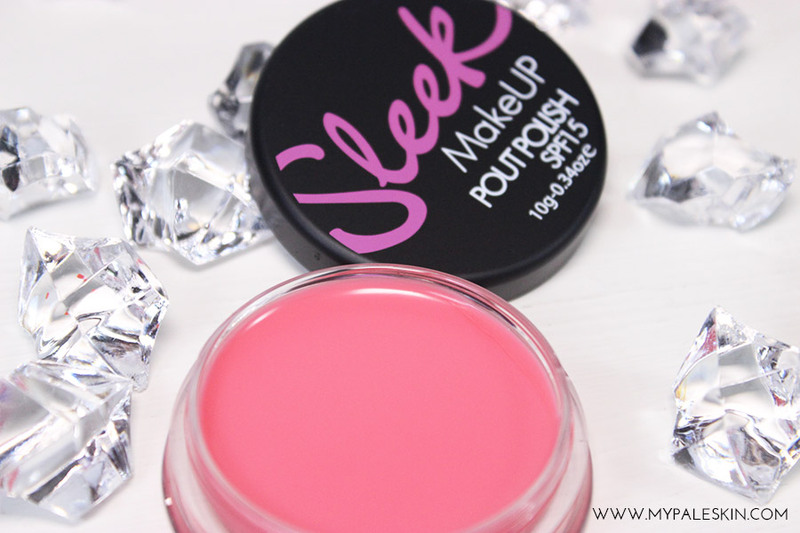 My Pale Skin: Sleek 'Powder Pink' Pout Polish Review! 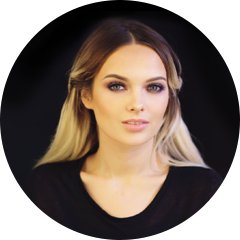 Sleek Pout Polish, if you haven't heard of it, is a perfect dupe for Mac Tinted Lip Conditioner - at a fraction of the price. Although not a product I'd usually reach for, i'm noticing my lips are more dry and chapped this winter and in need of conditioning. The Pout polish contains natural oils such as almond oil, shea butter and Vitamin E which are said to 'keep lips protected and moisture locked in'. Okay, worth a shot then in my books. 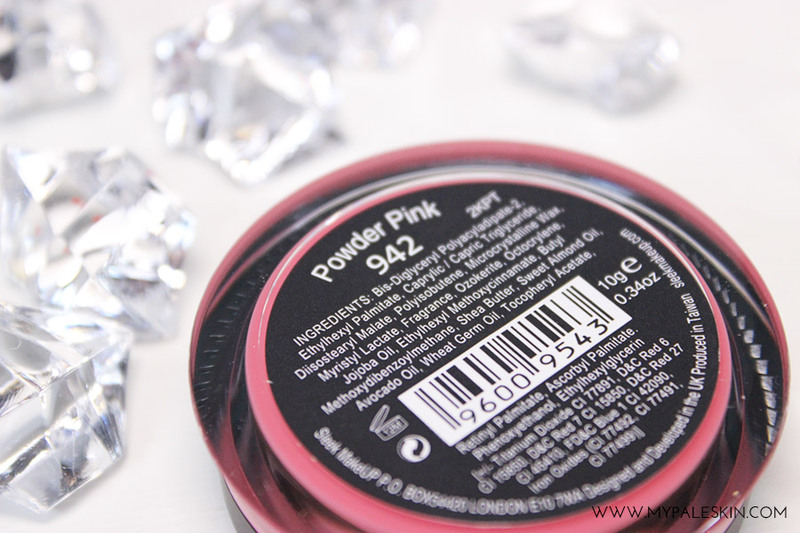 This powder pink shade is one which reminds me of my Mac Pink Plaid Lipstick and seems to be perfect for everyday use. A soft gentle pink that isn't too flashy, but with enough colour to really pull a look together. It swatches with a nice sheen and a good colour pay off too. When wiped the colour stains to leave a nice pink hue on the lip. 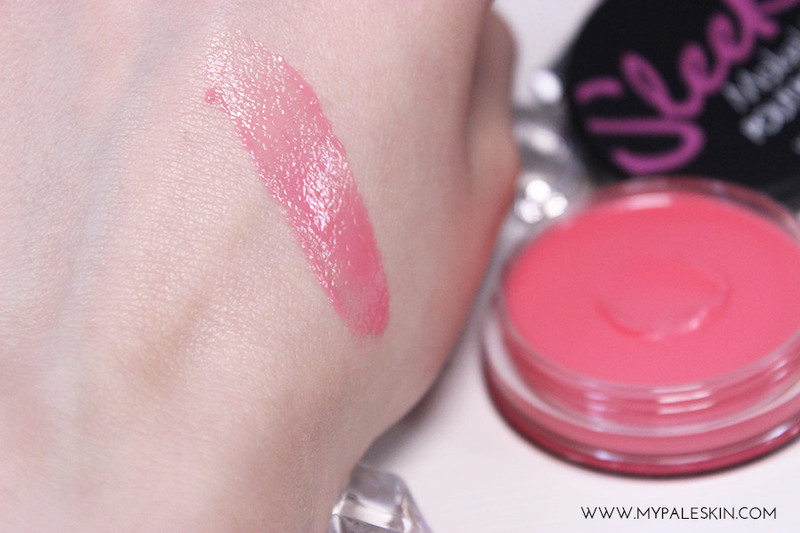 Scent wise, the pout polish smells amazing. You can definitely catch the almond oil in it which as a massive almond fan, it a bonus. However, the same can't be said for the taste. I don't know what it is about this product, but I just can't deal with how it tastes when it's on my lips, so much so that I can't wear it. I've tried numerous times over the past few weeks to get myself used to it, but every time I do, I have to wipe it off due to how it tastes which is such a shame. I can't put my finger on what it is about it, but even with just a small amount of product used, I get a horrible taste at the back of my throat. I just really don't like how it tastes. I've never really experienced this with a lip product before, so maybe there's just one ingredient that I strongly dislike. It's odd, and frustrating as everything else about this is perfect. Pout Polish, as unfortunate as it is will be relegated to the back of my make up drawer. Maybe one day i'll get over how it tastes - but today is not that day. 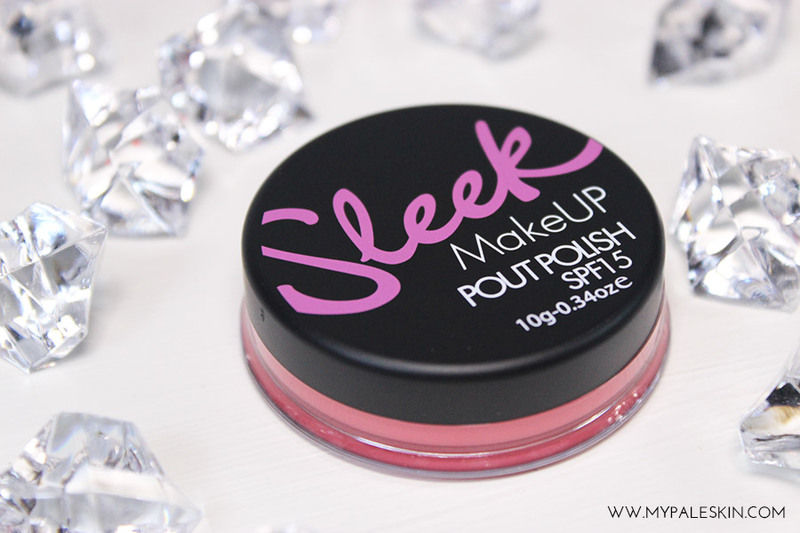 Sleek Pout Polish is available from www.sleekmakeup.com and costs £4.49. oo i have this, and the colour is lovely, i think it may make an appearance !! I had this exact same problem - the taste is so vile! It reminds me of the sort of taste that those nail varnishes that are designed to stop you biting my nails. Such a shame, as the colour and texture is lovely - but it's just unwearable. Such a shame you can't get on with the taste as it's such a beautiful colour and sounds like it's a brilliant product. OH wow! Reading through the beginning of this, I was so excited thinking that I had found a new Sleek product to love! The color is beautiful and the almond oil smell would be incredible. But alas, I will not be looking to buy this product because of the taste. Annoying, but hopefully they will fix it!